Are you burning the midnight oil to abreast of all the latest from the games in London? My friend Grace, the sports scientist, recommends these three apps to make sure you don’t miss a single throw, run, swim, shot, jump or wrestle. Alternatively, if you prefer to sleep in, there are apps to bring you up to speed with the overnight news from the first yawn. The very worthy official app allows you to view scores live in any event. 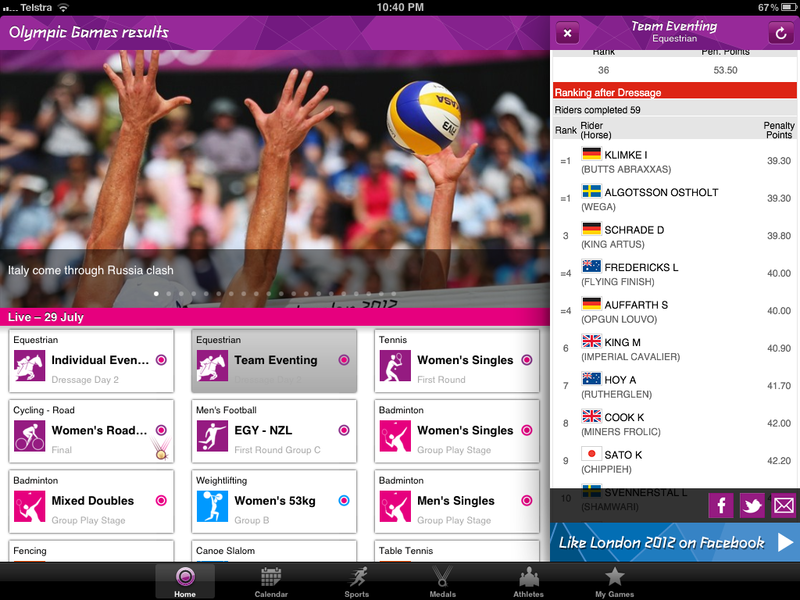 You can also search for every athlete in the games. Wake up and smell the Vegemite! 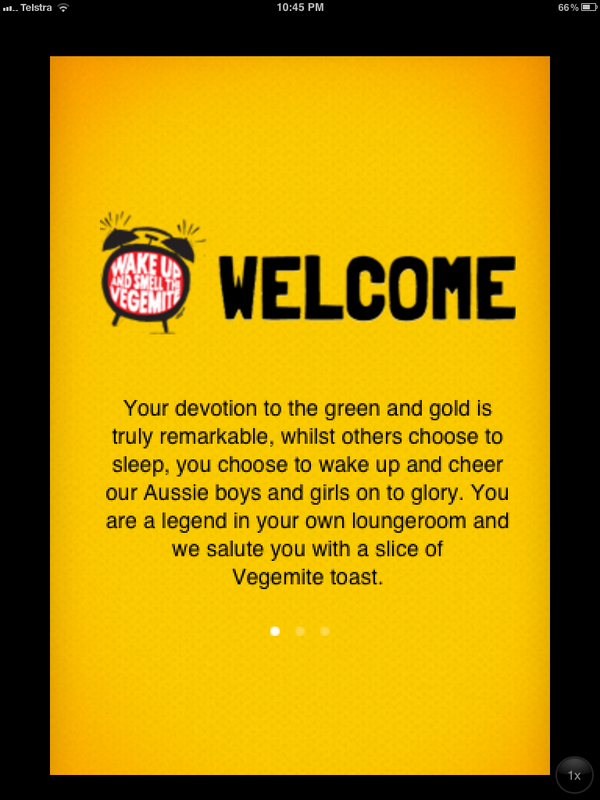 The vegemite app (!) 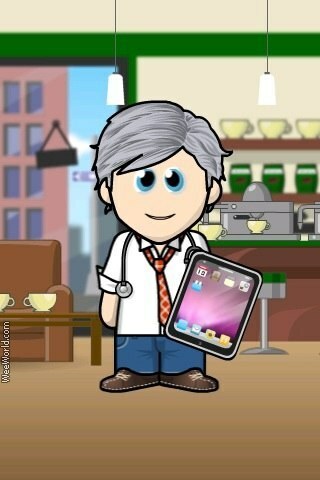 allows you to select an event, and will then scehdule a celebrity to wake you up at the right time. Set it to wake you at the final of the 110m Hurdle, and it will allow you just enough time to make your toast with vegemite. You know you deserve it. This is Grace’s pick, and I agree. 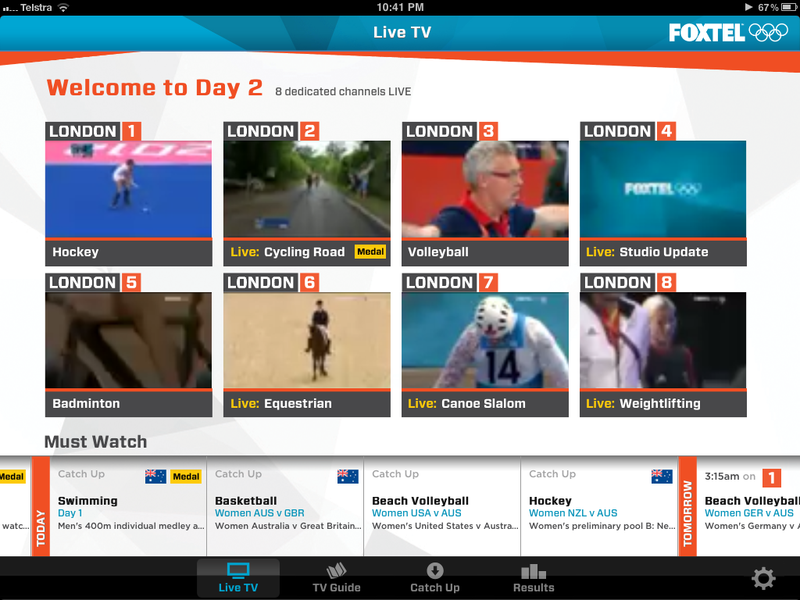 All the live scores and news from the Foxtel sports team, and, if you have a Foxtel or Austar subscription, there are live video feeds from their 8 dedicated channels and replays are available on demand.